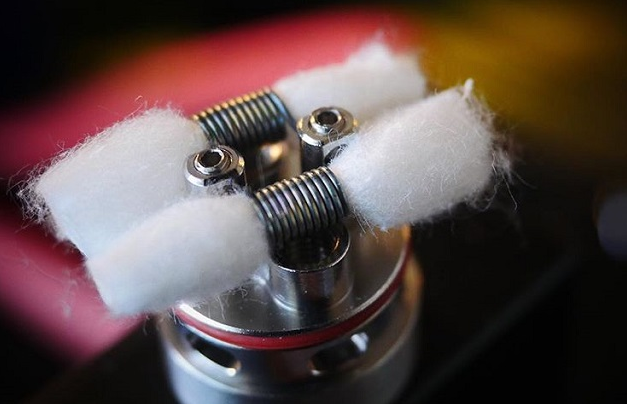 This post we want to discuss how to DIY your own RDA coils. As we know, DIY operation suit for advanced vapors. How to Calculate your RDA coils? Steam Engine | free vaping calculators. I find that the Steam Engine Vape Calculator is an invaluable tool, especially if you don’t own an Ohm-meter. The accuracy of this site is fantastic, and in my experience is accurate to plus or minus 0.1 ohms. More often than not, after I install my coil builds they read out exactly what steam engine calculated. The actual wrapping of coils is important from the beginning of coil building. I prefer using screwdrivers that have a lip on the handle for coil wrapping. This allows you to use your thumb to maintain pressure while you wrap. If your wire isn’t straightened, you are going to build a sloppy vape coil. I started straightening my wire as best as I could by hand with mixed results. I eventually broke down and purchased a Ryobi drill, and get perfectly straightened wire every time. Whatever you decide to use to wrap your coil around, make sure you are keeping constant tension on the wire. I have been unable to snap Kanthal or nickel wire by hand thus far. Do your best RDA when wrapping them to keep them as uniform as possible. I have seen a couple of methods for this. First is the more traditional wrapping the wire around your screwdriver or drill bit with your off hand. If you have any questions about DIY RDA coil or vape101, please do not hesitate to ask Wellon e-cigarette experts. Next PostIs Necessary Making a Visit to E-cigarette Wholesale Supplier?